No source code? No programming resources? No problem! The PrintMonitor add-on watches output queues for spool files and watches physical files for added records. Files that meet user-defined criteria can be automatically printed. Want to eliminate excessive programming? PrintMonitor can do just that. What could be easier than telling MarkMagic to automatically run a MarkMagic Job when a spooled file appears in an Output Queue or when a record is added to a file? PrintMonitor is ideal if you have no source code available or you don’t have the time or resources to change source programs. The powerful MarkMagic PrintMonitor Option watches output queues for spool files and watches physical files for added records. Files that meet user-defined criteria can be automatically printed. *Note: MarkMagic 9+ for IBM Power System i Print Monitor Add On Option watches physical files and spooled output files for added records. 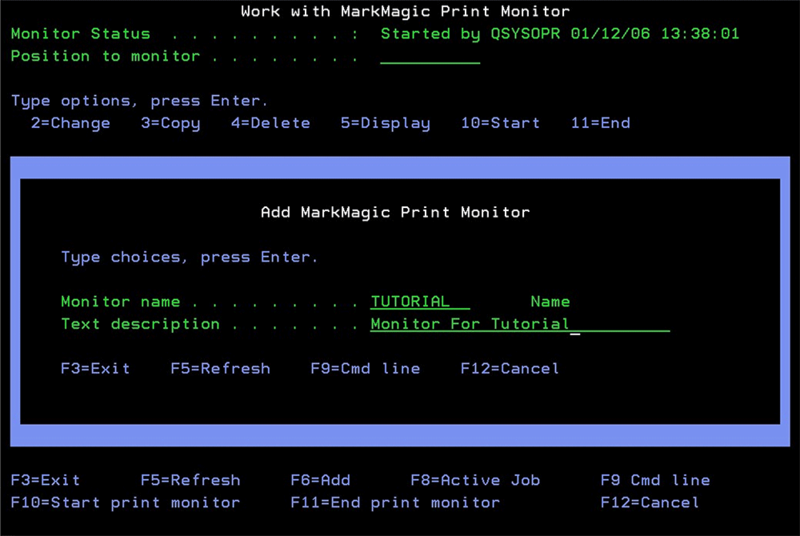 PrintMonitor Add On Option in MarkMagic PI 9.1+ works slightly differently, watching flat files on network shares for added records. When files or records are added that meet the conditions you specified in the monitor, the associated MarkMagic Job automatically runs. Using the MarkMagic PrintMonitor Option is the fastest, easiest way to integrate labels, RFID tags or forms into your applications. You can concentrate on designing documents that fit your business requirements without worrying about any programming at all. You can use PrintMonitor with any application and it requires no programming to achieve sophisticated results. No source code changes are required whatsoever. Applications of PrintMonitor are limitless! How MarkMagic and its PrintMonitor add-on helps Spiewak with garment tag printing. INTERESTED IN THE PRINTMONITOR ADD-ON? Contact CYBRA to discuss your specific software and hardware needs, and to see how the PrintMonitor Add-On can positively impact your business.